These beautiful dancers always seemed mystical and exotic from pictures I had seen. 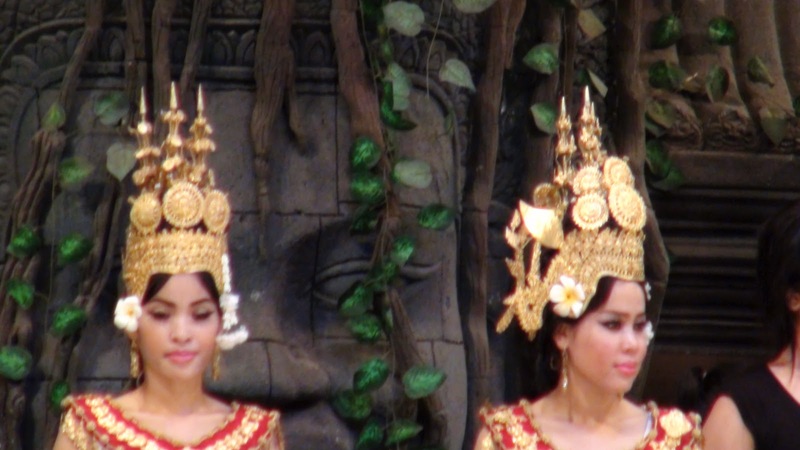 After seeing these Khmer entertainers in person, I was even more enthralled with their exquisite beauty, and their intricate facial, hand and foot movements entranced me completely. 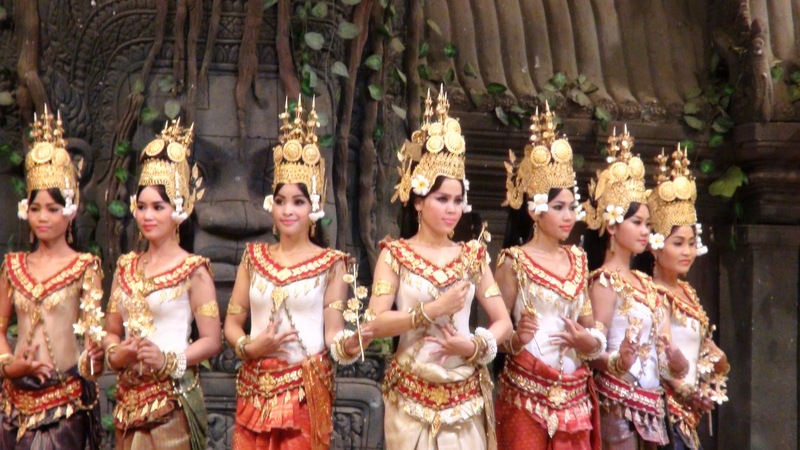 I learned that the Cambodia Apsara dancers’ headdress contains 5 points, and 2 rows of decorations similar to the Apsara that is pictured at Angkor Wat temples. 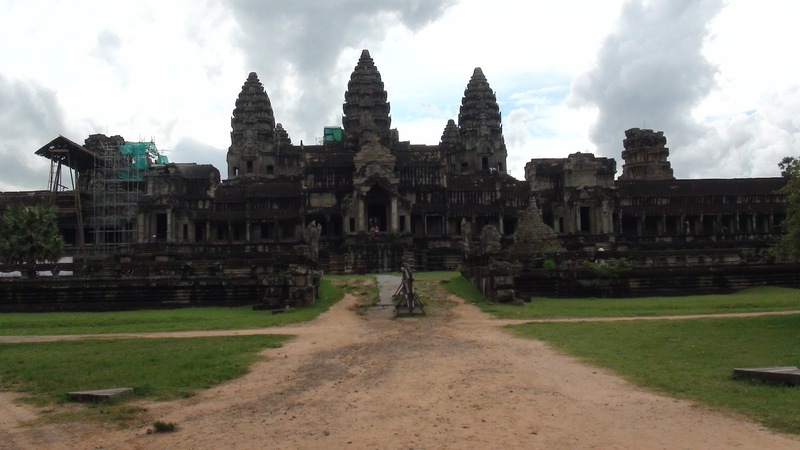 Apsaras are thought to be a form of female spirit representing clouds and waters, and is revered in Hindu and Buddhist mythologies. The Apsara is considered one of the most beautiful women, protraying an image of youthfulness and elegance, and who mystify others with their ethereal movements throughout their dancing. This evening was as beautiful as I expected/hoped it would be with the Khmer classical dancers portraying this mystical dance!